EFLU 2019 Admit Card has been Available on 5th March 2019. 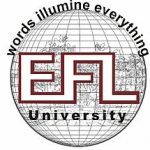 EFLU 2019 is an entrance exam known as the English and Foreign Language University. The entrance exam is organized by the English and Foreign Language University every year with an aim to provide admission to the eligible applicants in different courses. The English and Foreign Language University is one of the central university located in Hyderabad, Telangana state. The university conducts the entrance exam at the university level. EFLU 2019 Exam Date has been Announced. The Exam will be held on 30th to 31st March 2019. Applicants who are interested in getting admission in BA (Hons.) in English, BA (Hons.) in various foreign languages and MA (postgraduate) courses in the universities and its affiliated institutions need to appear for the entrance exam and score well in the exam. EFLU 2019 Admit Card has been Available on 5th March 2019. Click Here to Check Admit Card Details. EFLU 2019 Exam date has been Announced. The Exam will be held on 30th to 31st March 2019. Click Here to Check Exam date Details. EFLU 2019 Admit Card has been Available on 5th March 2019. Admit card can be accessed with user Id and password on the official website of the university. Applicants need to visit the official website of the university and download the admit card and also take some copies of the same. Admit card is an important document to hold at the time of entrance exam as it is mandatory. EFLU 2019 Answer Key will be Available after the Exam. EFLU 2019 Registration can be done till 26th February 2019. Visit the official website of the university in order to get the application form. Applicants need to submit some necessary documents (original and attested copies) and certificate along with the application form at the time of submitting the form for document verification. Some important details in the application form need to be filled along with uploading some relevant documents in it. Take a printout of the duly filled application form for future use once it is completely filled. Submit the duly filled application form and pay the application fee. General category applicants need to pay Rs 500/- as application fee. Reserved category applicants need to pay Rs 250/- as application fee. Application fee can be deposited by debit card, credit card or net banking. India citizens or foreign nationals are only eligible to apply. One must have passed HSC from a recognized board or university. Not less than 50% marks (45% marks for reserved category applicants) in the qualifying exam should be secured by the applicants. Appearing Applicants who are in final exam of the HSC are also eligible to appear. Bachelor’s degree in any discipline from a recognized university or institute should be completed. Minimum 55% marks must be secured by the applicants in the qualifying exam if they belong to the general category and that of the reserved category should score more than 50% marks in the qualifying exam. Such appearing applicants who are in the final year are also eligible to appear for the entrance exam. EFLU 2019 Exam date has been Announced. The Exam will be held on 30th to 31st March 2019. In online mode, the entrance exam will be conducted that is computerized based test. (Offline mode for MA course). Objective type multiple choice questions will be asked in the exam. 100 questions in total will be asked in the exam. Two hours will be given to the applicants to solve the entire paper for the entrance exam. NOTE: Official authorities will be responsible to release the information about the important topics and chapters for the preparation of the entrance exam. In the month of April 2019 applicants will be able to get the results in online mode on the official website of the university. In order to get the results in online mode applicants to need to use the roll number and date of birth. Applicants need to download the result from the website and keep some copies of the same. The result of the applicant is an important document that contains basic details of the scores achieved by the applicants in the entrance exam. After the declaration of the result authorities will shortlist a few applicants for further counselling round and interview round and will notify all the details on the official website. Official authorities will be responsible to conduct a counselling session for the eligible applicants with an aim to provide admission to the eligible ones in the institution. However, the counselling session will be organized for only those applicants who have secured higher marks in the qualifying exam. So for the reference of the applicants, official authorities will update all the information about the counselling schedule on the official website of the university in online mode only. In order to appear for the counselling session, applicants need to visit the official website of the university and get complete information about the counselling schedule. Applicants need to submit all original and attested copies for verification and then pay the counselling fee. Once the document verification is done, official authorities will allot seats to the applicants in the institution and will provide admission letter to the nominated applicants. Applicants need to report to the allotted institution along with necessary documents and admission letter. For any other queries about EFLU 2019, you can leave your queries below in the comment box.